Download Gisela’s Holiday Story to your Kindle for FREE from October 28th through November 1st. Learn about All Saints Day and how many of our Halloween traditions today cam about. A perfect read for the upcoming holiday! 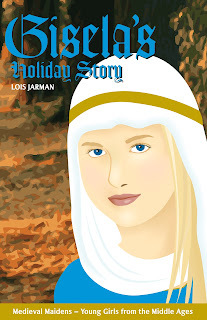 Gisela’s Holiday Story is a beginning-chapter children’s historical fiction book. The sequel to Gisela’s Story, the book follows the adventures of Charlemagne’s daughter Gisela. This FREE download opportunity won’t last long, so get your copy now. As of November 2nd, the price will go up to $0.99. Tell all your friends and, please help us out by leaving a review for the book once you’re finished. Take me to my FREE Kindle copy!